Simple and secure, you can make a donation to the Foundation through our PayPal or Strip account. Simply complete the appropriate form to the right and you will be taken to the secure PayPal payment page or you put in your Credit Card details, which is connected to the secure payment system Stripe. You are not required to have a PayPal or Stripe account for this transaction. The money goes to wherever the highest needs are. You want to Sponsor A Child? Sponsorship of a child helps to cover costs such as food, lodging, medical expenses, school expenses, clothing, transportation, and recreation. Please click on the Button to find the current needs for Child Sponsorship. Recently we completed the roof of our house, the rooms for the children and the living room. Now is only the apartment for the volunteers or other guests left to put tiles on the floors, the inventory for the bathroom, the ceiling and the electrical system. Thank you for your support and God bless you. You see some pictures of how it looks now. 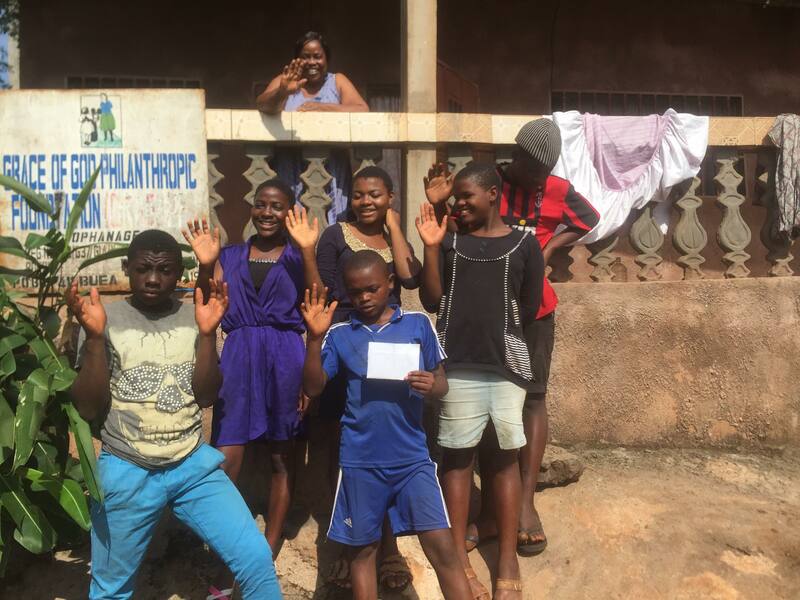 Do you want to keep up with all that is happening with Grace of God Philanthropic Foundation Orphanage? We invite you to fill out this form – and we’ll keep you up-to-date with news and updates on the success of the children!